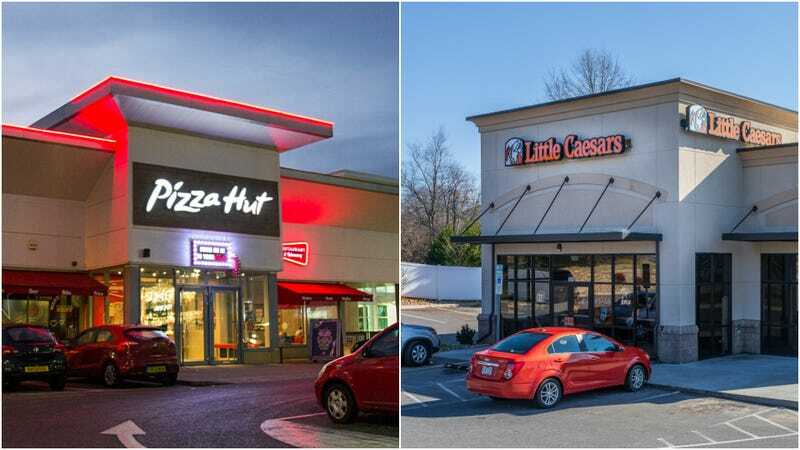 Whatever the cause, Little Caesars and Pizza Hut are bringing stuff back, baby! And we are mostly without an opinion about that! Beginning today, customers can order the bacon!bacon! wrapped!wrapped! pizza via the Little Caesars app or website; the pizza will become available, Hot-N-Ready style, to walk-in customers beginning March 21. Per USA Today, the pizza(pizza) was last available for a measly nine weeks in 2016. While there’s no announced end date as of yet, this is another limited-time situation. The P’Zone, which is Pizza Hut’s take on a calzone, involves a “toasted parmesan crust,” which encloses one of three sets of fillings: Pepperoni, Meaty, and Supremo. 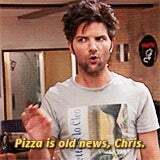 It was first introduced 17 years ago, instantly making pizza obsolete, says Parks And Rec’s Ben Wyatt. The big news here is actually the price: As Forbes points out, the last time the P’Zone popped its head out of the ground and saw its shadow, the price for a nice P’Zone was $6.99. Now, it will be part of the chain’s $5 lineup, which allows customers to purchase two or more items from its roster for $5 each. The list includes a medium one-topping pizza, an order of eight breaded boneless wings, a double order of breadsticks, and more. Our sincerest congratulations to fictional character Ben Wyatt and whatever person in the Hut’s marketing department came up with that “so many comebacks” line. That’s good. Should pizza chains serve breakfast?